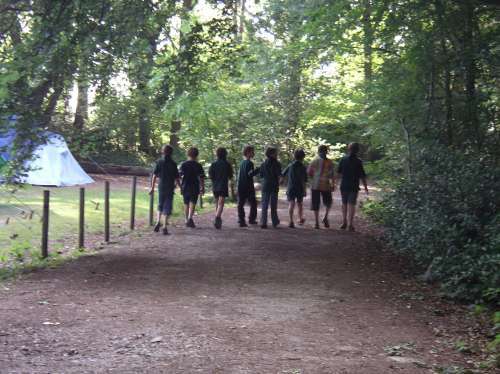 The Cubs summer camp was at Phasels Wood, Hertfordshire at the end of July. We worked towards Campers Badge, Outdoor Activity Challenge, and Artists Badge. We climbed their climbing wall, slid through their man-made cave and zipped down their zip-wire. We had a go at air rifle shooting and archery as well as all the more traditional camp activities of fire lighting, outdoor cooking and sports. We also had some craft activities (it rained a little) and made some a visit to Whipsnade Zoo.